One of my early literary/skating influences was 48blocks.com founder Leland Ware. Leland was a bit more cosmopolitan than most of us; and you’d be hard-pressed to come across him doing anything unrelated to writing/skating in some way, shape or form. I reached out to him recently to see what’s up..
KC: Sup man, it’s been a minute – too long to fully catch up, but what’s been up in a nutshell? LW: Wow, a lot of things have happened. Highlights include starting my blog 48blocks.com in 2006 and having that get recognized in skating and then starting to work full-time in the industry in 2008. I had a contract with Interscope Records in 2008 and was working as the Editor-In-Chief for this site called SteeloHero.com that they pulled the plug on after a year. Then in 2011 I left San Francisco and moved to LA to work as a staff writer at the Berrics and in 2012 I moved down to San Diego to work as the Content Manager at The Kayo Corp. Kayo makes DGK skateboards, Expedition Skateboards, Organika Skateboards, and Gold Wheels. I run the website, online store, do all of the marketing writing, and help come up with ideas to creatively market our products. We also do a quarterly magazine and I do most of the writing and editing for that. It’s been 3 1/2 years and things are going well. It’s cool cause DGK is really big in skateboarding, but also really connected with Hip Hop as well – so my job works with two cultures that I’ve always been really passionate about; which is definitely a blessing. KC: Riteon, Bro. You have been on the scene for quite a long time. What keeps you motivated? LW: I’m really inspired by art, music, photography, and film – so I guess my biggest motivation is being around creative people that are doing cool projects in those realms. I’ve gotten to meet quite a few of my heroes through being involved in skateboarding and the culture that surrounds it – people like Spike Jonze, Sean Cliver, Marc McKee, Tobin Yelland, Ed Templeton, and many more were all people that I looked up to growing up; so getting the opportunity to meet and talk to them over the years has been inspirational. Outside of that, just getting the opportunity to contribute creatively to various projects and work with things that I’m passionate about gets me hyped to get out of bed in the morning. KC: Word. You put me on to mad flavor back in the day. Who/what would you say are your primary influences? LW: Man, so many people and things have been influential to me. 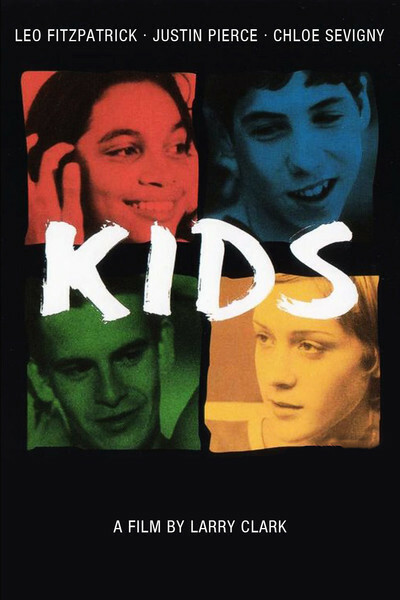 Definitely Larry Clark and Harmony Korine and the movieKIDS – that was such a raw and honest portrayal of the scene back in the mid-90’s. Everything Spike Jonze has ever done has been amazing. The brand Supreme and pretty much everything that they’ve done over the years, they’re the perfect marriage of street culture and high fashion and have managed to remain on the forefront of those cultures for over twenty years. Early World Industries stuff – the artwork of Sean Cliver and Marc Mckee, and Steve Rocco’s “us against the world” aesthetic, along with Big Brother magazine were highly influential to me growing up. Girl and Chocolate skateboards – the artwork of Andy Jenkins, Evan Hecox, and The Art Dump. San Francisco, LA, and New York and all of the cool stuff that comes out of those cities. Mark Gonzales as a skater, artist, and creator. Chris Pastras and Jason Lee and early Stereo Skateboards stuff – that got me into jazz music and the Blue Note design aesthetic. Basquiat, Warhol, Ricky Powell… I could go on for days, there’s really too many things to mention; but my influences are all over the place. KC: Speaking of KIDS & Basquiat, hip-hop culture’s morphed quite a bit in the last 20. What’s your take? LW: I have a love / hate relationship with hip hop. I don’t like most of the new stuff that’s on the radio – it’s super dumbed down and pretty mindless. When people started just repeating themselves and not really rhyming, I kind of got over it – but then there’s newer stuff like Earl Sweatshirt and Run The Jewels that’s amazing. I guess my take is that hip hop became mainstream and like most mainstream things it got watered down for the masses. I still listen to all of the old 90’s stuff and I try to seek out new stuff that’s good. I like early Kid Cudi and Wale when they were both just mixtape artists. Odd Future is dope. I listen to all different types of music though, especially now that I’m older – I spent so much of my life only listening to hip hop that I had to branch out and peep other genres. I really like Santigold, TV On The Radio, Modest Mouse, Yeah Yeah Yeah’s, and stuff like that as well. KC: I hear you. Any advice to the new breed writers/riders? LW: I would just say pay attention to everything, because you never know where or what you’re going to draw influence from. I would also say surround yourself with positive and creative people, because the wrong energy can really bring you down. I would also say, don’t force things – just let if flow. Like if you’re in the zone to write, then write; but if you’re in the zone to shoot photos, then do that, and if you do art or music then make time for that too – that way you never really get burned out and one thing usually influences the other. As far as skating, you just have to skate all the time if that’s what you want to do – but remember that skating is also an art, so look at older stuff like Mark Gonzales and Jason Lee in Video Days and how they approach tricks. Also, whether it’s skating, writing, photos, art, etc – style is everything, it’s not what you do; but the way that you do it that counts.